Doors come shipped in pieces as a kit, assembly is required, (overlays applied with visible screws). 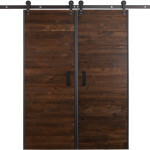 This is our unique Barn Door Hardware Bi-Parting Track System. 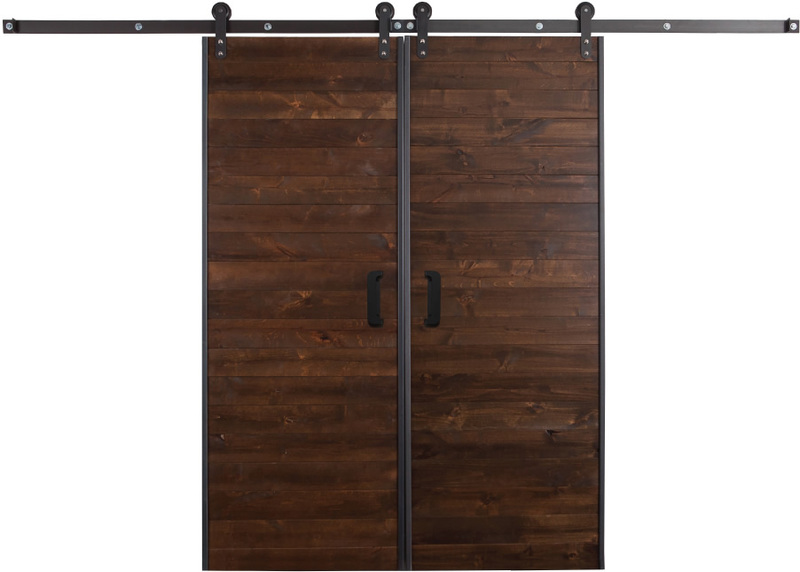 Use this BiParting Sliding Door Hardware to allow for doors to slide towards a center point, perfect for an entryway or office.